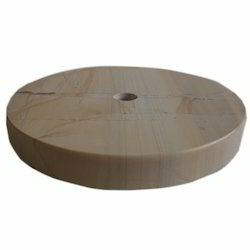 - We can also supply Stone Bases in various sizes and specifications to fulfill individual customer requirements. - The given pictures are for reference only and the actual Stone Bases may vary in color, tone, marking and texture. 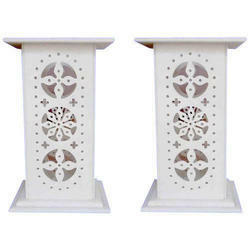 We provide Stone Table Bases to our clients as per their requirement. Finish: Polished, Honed, Natural, Bush Hammered, Sandblasted Etc.